We'll ABC isn't giving up much on this episode which is currently showing a re-run from season 3, episode 312. I'm beginning to think the producer's change the episode's number's and sequence for a reason, but what whatever their reasoning behind it, really doesn't make any sense. Anyways, as it appears right now, they are using this seasons episode 412 and filling it in with episode 12 from last season. It's kind of interesting that I also received a message on Twitter from one of these contestants this morning. Not exactly sure what to make of it yet, but the timing is leading me to believe there is a little more to this Fridays episode of the Shark Tank then meets the eye. An entire show dedicated to the success of previous entrepreneurs? Not just a quick mention, but a detailed segment going in depth in their success. Now that would draw ratings. It's nice to see them get investments with the Sharks, but it would sure be interesting to see how things have "really" changed and not just the fluff but an in depth interview of the most successful product's. Season 3, episode 12 was first aired on May 15th, 2012 in which 2 of the companies got a deal with the Sharks on the Show. Both are very good idea's that have made a lot of headway in just 6 short Month's from being on the Show. Cougar Limited is another Energy Drink catering to older women to get their "cougar" on. Remyxx recycles sneaker's and has since changed it's name to Rekixx. It was reported that Daymond John who originally backed out of the deal because it would of been taking advantage of the situation, may be ready to step in and take ReKixx to the next level. NitroForce Industries is a new home gym created by Frank Campitelli & Debrae Barensfeld. UniKey Technologies is just cool. 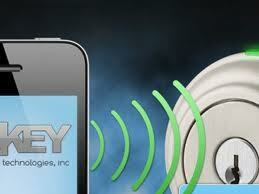 It turns key's into a remote control devise. Any more info. on this Friday's Shark Tank Show?